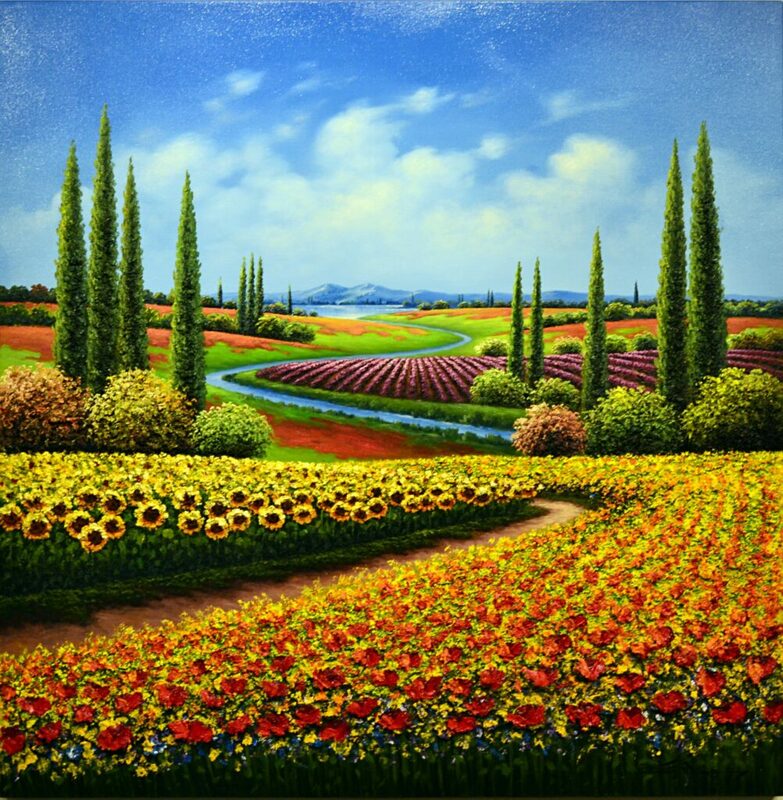 Mario Jung Flowering Fields Original oil on canvas. Signed at the lower right margin. Size in inches: 48 x 48 in. Size in cm: 122 x 122 cm.